Mom can I use some salt and……. That is what I head in my house when the GeoSafari Jr. Jungle Crew Lab Set comes out. My Little One is 8 and she loves anything that she can use to do experiments and concoctions to learn what happens when I mix this and that. Of course she explores the fridge and cupboards and makes all types of mixtures, some really don’t smell that great either! 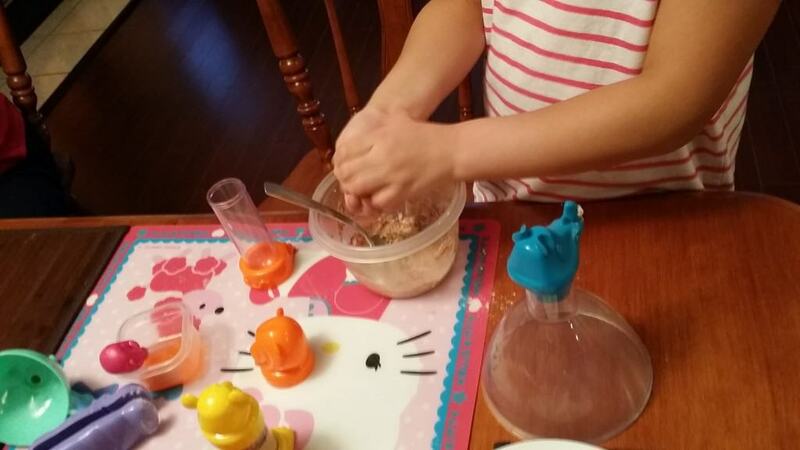 Roar into scientific exploration with this sturdy, 6-piece, animal-themed science set. Fun animal-shaped scientific tools introduce preschoolers to the wild side of science, and 10 hands-on activity cards offer fun, simple ‘experiment’ ideas using ingredients found in your kitchen or backyard! Educational Insights has two lines of GeoSafari products, the regular line rated ages 6 to 12 and the junior line rated ages 3 to 6 years old. The GeoSafari Jr. Jungle Crew Lab Set is designed to be attractive to little ones with each piece designed like an animal from the jungle. The GeoSafari Jr. Jungle Crew Lab Set gets 5 star ratings everywhere I turn to read reviews. It is a wonderful set that attracts kids and encourages them to learn. If you follow me regularly, then you know that I love products that kids have fun using and that are educational at the same time. There is nothing better than having fun learning. My Little One is 8 years old and she still loves the GeoSafari Jr. 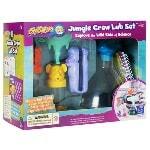 Jungle Crew Lab Set even though it is generally rated for ages 3 to 6. I do recommend the set for the age ranking and have no doubt that it will be used for years to come. You can also find the GeoSafary Jr. Jungle Crew Lab Set online at Amazon Canada and Amazon USA. Make sure to check out the entire line of Educational Insight products here….